CORVALLIS, Ore. – As you pore over seed catalogs in these cold winter months, you’ll likely include tomatoes in your vegetable garden dreams. Oregon State University’s vegetable breeding program has developed several varieties over the past 40 years that are now mainstays in many Pacific Northwest gardens. Perhaps you know of Indigo Rose, the novelty purple tomato that OSU debuted in 2012. But did you know about the other varieties that the program has created? In the past, the whole idea behind the breeding program has been to breed seedless types that are adapted to the cooler springs we have in Oregon and tomatoes with determinate growth so that they bloom earlier and set fruit under cooler conditions,” said Jim Myers, OSU’s vegetable breeder. Under Myers’s leadership, the program has focused on two areas in recent years – developing varieties with late blight resistance and increasing phytonutrient potential. “We try to build on the material previously developed in the vegetable breeding program,” Myers said. Myers suggested the following OSU varieties, many of which were developed by his predecessor, Jim Baggett. Legend: A tomato that produces large fruit that is good to eat straight off the vine. Resistant to some forms of late blight. Ripens 60-65 days after transplanting. You can get a larger-sized, earlier-ripening fruit by growing them first from seeds in gallon-size pots then transplanting them, Myers said. Gold Nugget: Among the first to ripen, this prolific variety grows cherry tomatoes with a deep yellow color and mild, juicy flavor. Ripens in 60 days. Oroma: This tomato makes good tomato sauce and paste. Early to mature; average ripening time of 70 days. Prolific after ripening. Fruit is meaty and thick-walled. Oregon Spring: Ripens in 60-70 days. Slicing variety that can be eaten fresh in salads or straight from the vine. It will produce high, early yields of silver-dollar-sized juicy tomatoes. Oregon Star: Ripens in 80 days. An early-maturing, red paste-type tomato. Large, seedless fruit. Good for fresh eating and for canning. Santiam: Ripens in 65-75 days. Suited for salads and fresh eating; good, tart flavor. Siletz: Ripens in 70-75 days. Reliable tomato with good flavor; ideal for eating fresh from the vine. Not resistant to late blight. Indigo Rose: Ripens about 80-90 days after transplanting. First of a new class of tomato that is high in antioxidants. Its purple color comes from the anthocyanin pigment in its fruit. This open-pollinated variety is semi-determinate – or larger than a determinate type but smaller than indeterminate types – and a prolific producer. Get the best flavor by picking the tomato at its ripest; it will turn a muddy brown, dull purple color in September when ripe. Find these tomatoes in the seed catalogs from Territorial Seed Co., Victory Seed Co., Ed Hume Seeds, Johnny’s Selected Seeds and Nichols Garden Nursery. Except for Indigo Rose, these tomatoes are determinate types, meaning that they are bushy in form and have fruit that sets on the bud at the tip of the stem, Myers said. They continue growth from side branches. 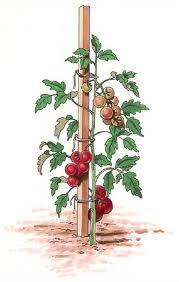 All tomatoes from determinate type plants ripen in a concentrated period of time. Indeterminate tomatoes, on the other hand, will grow vigorously to heights of up to 12 feet and produce fruit until frost kills them. If you’re overwhelmed by all the tomato choices and only have limited space, Myers has some advice. “Find a few tomato varieties that work really well for you and use them as standbys, but reserve some space every year for experimental types that you want to try,” said Myers, the Baggett-Frazier Professor of Vegetable Breeding in OSU’s College of Agricultural Sciences. 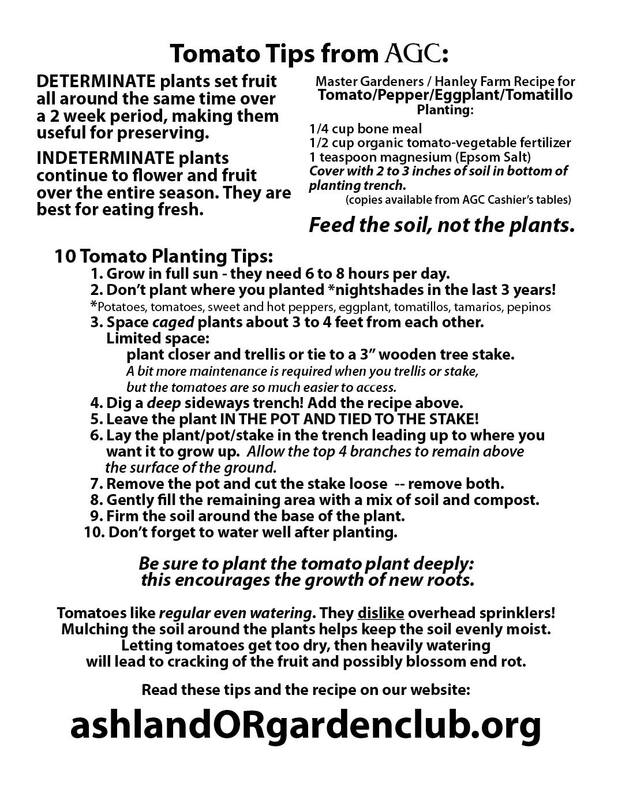 Here’ s a great recipe for those gardeners out there who are actually harvesting some red tomatoes this year! 4 large peeled tomatoes, sliced or chopped, [approx 3 cups] squeeze to remove excess juice1/3 to 1/2 cup chopped basil, or more to taste! Pre-cook pie shell approx.10 minutes, a frozen crust might need to cook slightly longer. Salt tomatoes in a colander and allow them to drain while pre-cooking pie shell. 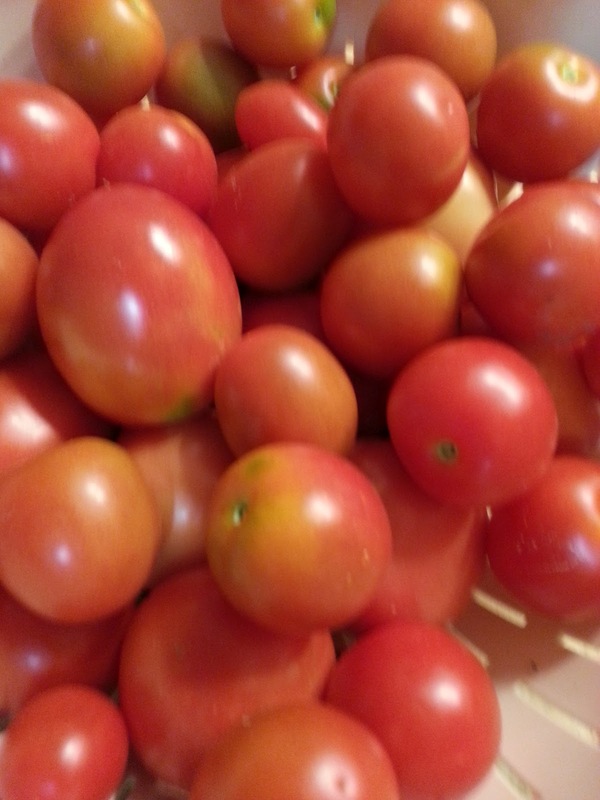 Using paper towels, squeeze as much juice out of the tomatoes as you can. Layer onions, tomatoes, and basil in the pie shell. Combine grated cheese and mayonnaise to together. Season with salt & pepper to taste. Spread mixture over the tomatoes. Bake for 40 to 45 minutes, until light brown & bubbly. New York Times recipe for caramelizing onions fast. Start onions in a dry pan without any oil. As the onions begin to darken, but before they burn, add oil and salt to stop their browning. Then sauté them until they have softened in some spots and crisp up in others. This is said to take less than half the time of the traditional, slow-cooked method. CORVALLIS, Ore. – There’s probably nothing more exasperating than working hard in the vegetable garden all summer, only to end up with hard green tomatoes, unripe melons, and sweet peppers the size of robin’s eggs. Oregon ‘s cool springs and cool summer nights can prevent tomatoes and peppers from flowering and setting fruit early enough to grow to a decent size before the frosts of fall arrive. Dig a hole for each transplant where there is a hole in the plastic. Then plant your plants. Be sure there’s enough plastic on all sides to cover a mature root system. After everything’s planted, take a pitchfork and punch some holes in the plastic so water will soak through, but avoid the drip hose. Then weigh down the edges of the plastic with a few mounds of soil. No Hornworms in the Tomatoes! 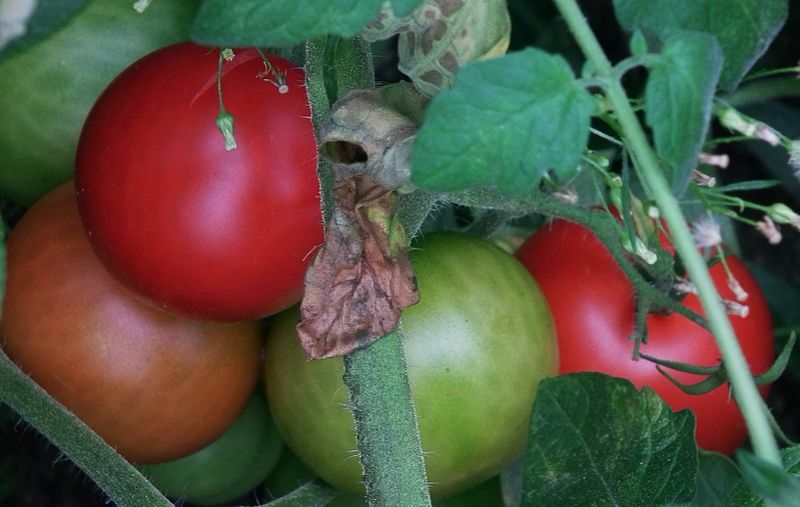 Skeletonized leaves, round black debris and damaged tomatoes – sure signs of tomato hornworm damage. 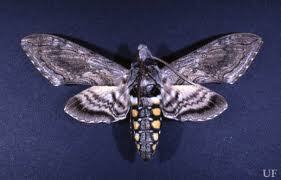 The hornworm is a larval form of a stout bodied, strong flying hawk or sphinx moth. The moth has a long probiscus to feed on deep-throated flowers and, in the process, is an important night time pollinator. 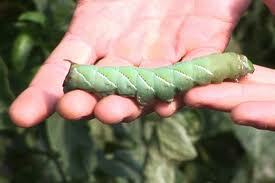 Damage done to tomato plants is by the caterpillar or larva. The caterpillar is green with distinctive eye spots on the side. In Jackson County they hatch in the spring after overwintering in the soil. The small green caterpillars grow and change rapidly, consuming tomato plants in addition to other members of the Solanaceae family. For the average home gardener, uncontrolled tomato plant damage may lead to an incomplete crop as the damaged plant tries to survive defoliation. The best way to control the caterpillar is by practicing a combination of monitoring and removal. Check tomato plants every few days for signs of damage. During the warmer months the pest grows very quickly into a master of deception, hiding underneath stems and leaves. If the pest is found, hand pick and immediately destroy. While doing garden observations I always take a container of soapy water for disposal of unwanted insects. Some may prefer to crush or destroy in another way but either way, the earlier you find the caterpillar, the less damage it can do.